My first holiday trip to Vietnam, visiting Hoi An and Da Nang took place in March 2018. As for my very first trip to Vietnam, it was in November 2014 for a business trip when I was still in my previous company, visiting an industrial estate location a few hours drive away from Ho Chi Minh City. After one year, I am finally going to write and publish my travel article along with Hoi An and Da Nang travel/food photographs that I took with the Canon EOS 5D Mark IV and LG V30+ smartphone. Over a period of 5 days, this was a really very free and easy holiday, basically there were no major travel plans or schedule during that time, with two Macquarie University friends that I knew from my Australian Alumni Singapore (AAS) networks, they are Chef Keith and Chef Jude, whom I have a lot of food photography and food eating adventures with both of them. This travel adventure to Hoi An and Da Nang wasn’t much of a difference, basically we were eating a lot of local delicious Vientamese delights and drinking lots of Vietnamese coffee. Since Chef Keith had visited Hoi An previously, he had a list of food places to bring us for lunch and dinner. 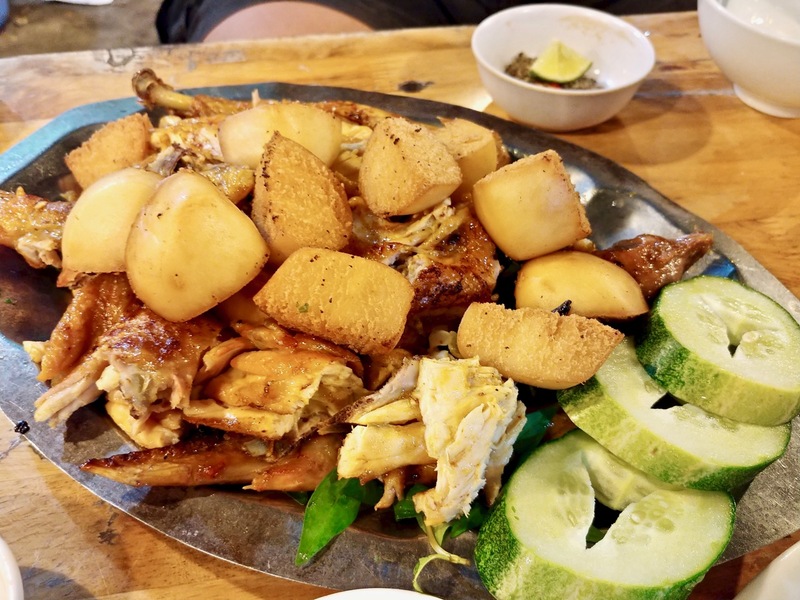 I am taking a different approach to writing my Hoi An and Da Nang travelogue, this would not be an individual day article approach, instead it would be on interesting places/food that we visited during our travel adventures to Hoi An and Da Nang. 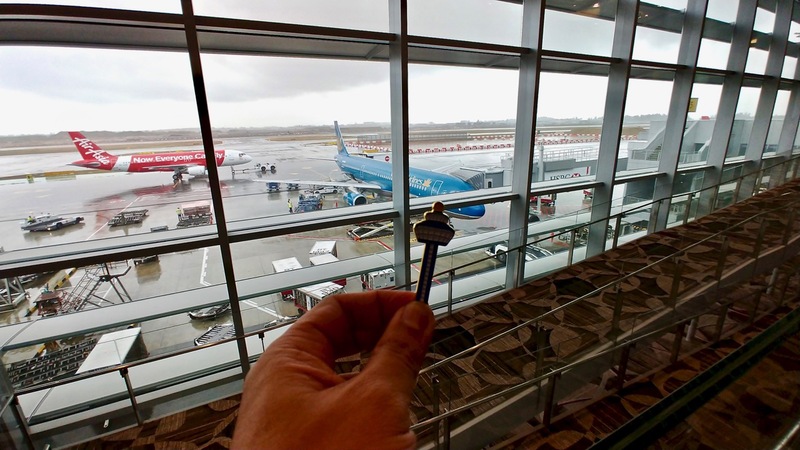 We flew to Da Nang via Ho Chi Minh City with Vietnam Airlines from Changi Airport Terminal 4, followed by a car ride down to Hoi An from Da Nang International Airport. A simple and comfortable hotel in Hoi An, their room rate is not expensive. While their location is slightly further away from the old town area, you can ride a bicycle over or just walk that little bit of extra distance and you can explore more different roads in Hoi An, discovering more gems! Our first dinner location when we arrived at Hoi An, totally local and authentic, we didn’t spot any tourists, there were no English translation on their menu. The staff couldn’t speak much English, a classic chicken and duck situation. Basically, Chef Jude pointed at the banner where some of their dishes were highlighted and we waited for the local Vietnamese dishes to arrive. This was a very memorable local Vietnamese dinner, authentic and very delicious. 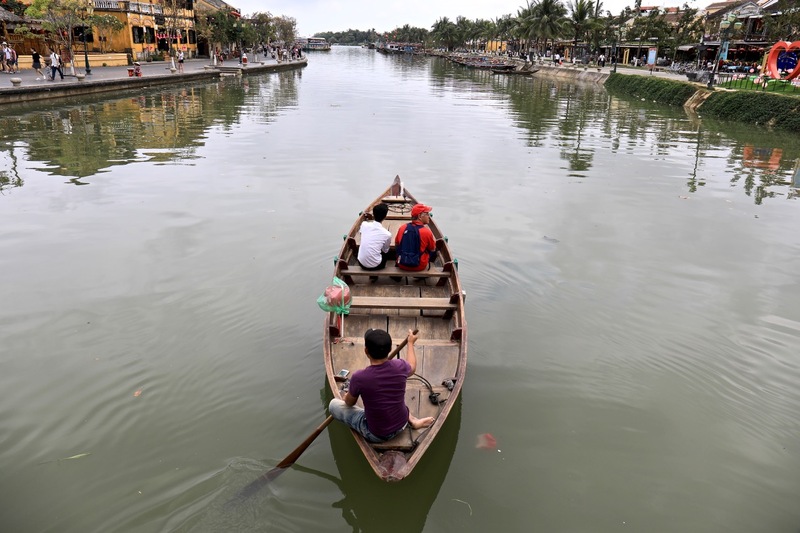 Located on the opposite of Hoi An Old Town, across the river that can be reached via the bridge that is packed with people walking across from both sides. 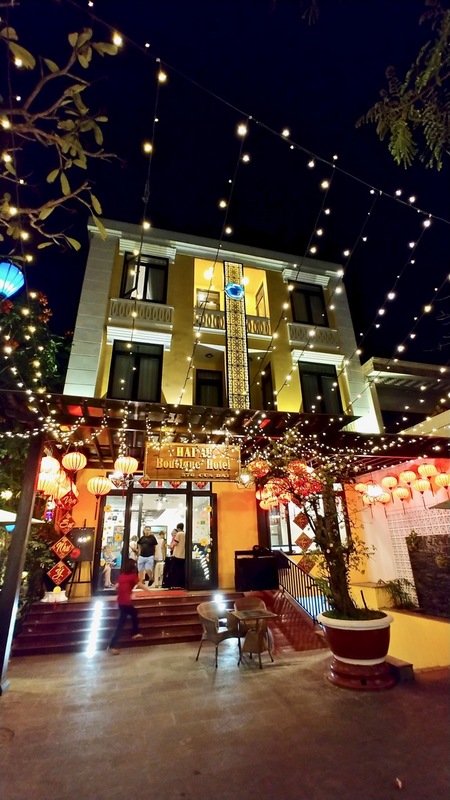 Madam Kieu is just located right next to the entrance of Hoi An Night Market, therefore they attracts quite a number of tourists. Although the price is higher as compared to other parts of Hoi An, you can be assured of their quality and tastes. This restaurant was recommended by Chef Keith and we had a great time feasting over there! There are many coffee places in Hoi An, Hoi An Roastery is one of them. They did the café up, nice ambience and furnishings, it’s a relaxing coffee joint to rest your legs when you are exploring Hoi An Old Town. Vietnamese coffee is well known, has a great reputation, they have excellent quality coffee beverages. If you are a coffee lover, you would definitely enjoy Vietnamese coffee in Hoi An! A bustling night market across the river from Hoi An Old Town, packed with visitors in the night. Do check out their night market, from craft works to food, that’s something for you to explore. Chef Keith highly recommended this shop selling roasted nuts, we went there to check it out, tasted their various flavoured roasted nuts and we were hooked. You will not regret buying many bottles of different flavoured roasted nuts back home! When we explored Hoi An Old Town on foot instead of riding the bicycle provided by the hotel, we managed to explore and discover more local gems. Hoi An Central Market is the type of wet markets that similar in this part of the Indo-China region. 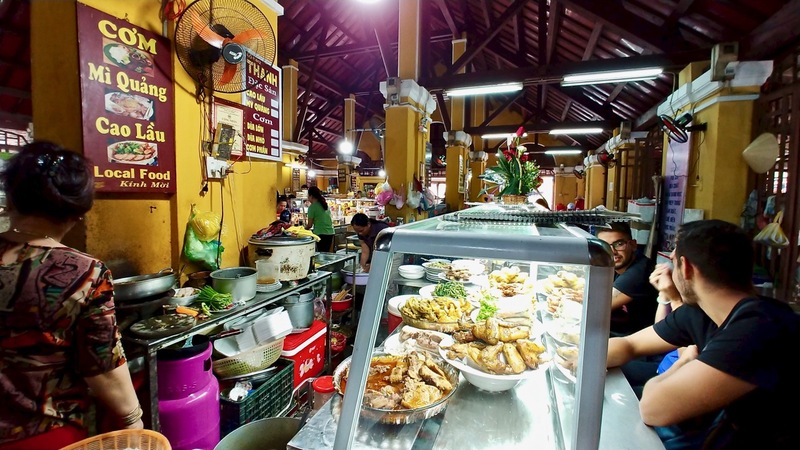 For travelers who are not too acustomed to street food, they might be a bit hesitant. As for the three of us, we love street food, we went inside Hoi An Central Market, had our lunch and shopping in the local market. Along the roads of Hoi An, you can spot food carts being setup with tables and chairs nearby them whereby you can enjoy a hot local Vietnamese street food. Like what I mentioned earlier, if you are are not too acustomed to street food, you might be a bit hesitant. As this particular junction, Chef Keith said this two food carts selling Banh Mi and Pho are very delicious. 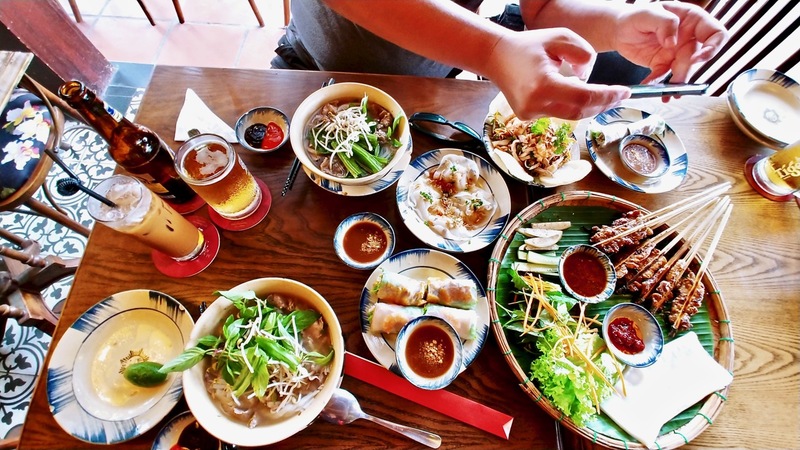 Once we tasted them, we were in awe by the quality and taste of the Vietnamese bread, the Pho, smooth and soft noodles! I like the Banh Mi so much that if any friend coming back from a Vietnam holiday, I asked them if they can bring me back a Banh Mi! Oh yes, you have to get used to their small chairs and tables, Chef Keith and Chef Jude had some challenges adapting to their chairs! Our last night was in Da Nang, we visited this BBQ restaurant highly recommended by Chef Keith and we knew that he won’t go wrong with his Chef standards. The meats were seasoned in different flavours differently, slowly cooked over the small charcoal pit on the table. That was a really enjoyable BBQ dinner! Just in case, I missed out on of the Vietnamese street food because I don’t have the name of the food place and address, this special photo album on Vietnamese food would be a very useful reference if you travel to Hoi An and Da Nang, wanting to try out their local Vietnamese food. Hoi An is an ideal destination/community for creative industry, writers, artists, painters, photographers etc. The history and heritage of Hoi An Old Town, with its conserved and protected houses, make it a wonderful partnership and collaboration for the creative folks and Hoi An. 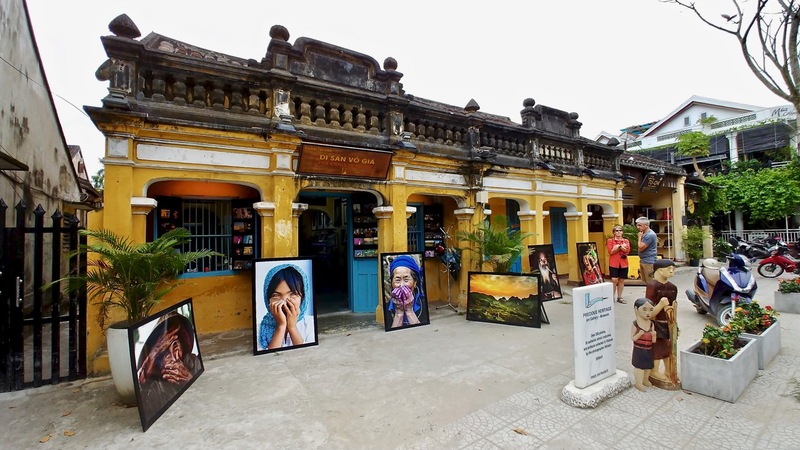 Precious Heritage Museum and Art Gallery by Rehahn Photography, a must visit place if you are a fan of travel and portraiture photography and learning about the ethnic tribes in Vietnam. Rehahn’s photography works are amazing, you would be mesmerised by his portraiture, travel and documentary photography works. The precious heritage museum and art gallery is worth a visit, to learn and understand more about the ethnic tribes in Vietnam. 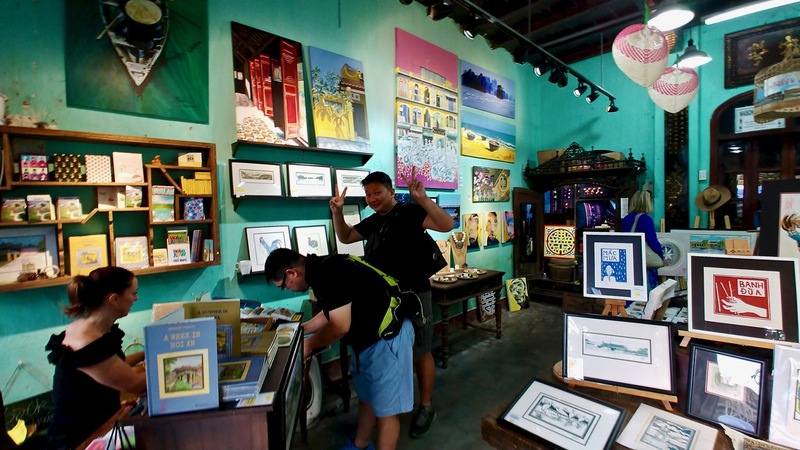 Located in the Old French Quarter of Hoi An, opposite Precious Heritage Museum and Art Gallery, lies a colourful and artistic gallery and art space, the March Gallery, showcasing a variety of creative arts work, from contemporary art, limited edition prints, craftworks etc. Do visit them and check out their collection of creative and artistic works. One of my things to do when I visited Hoi An was to check out their leather shops, I heard so much about them, saw photos of various types and sizes of leather products. There were many leather shops in Hoi An and I checked out a few of them! Since I wanted to get a small leather bag, I searched high and low for something that I really like and it must suit me. Down the same road as Precious Heritage Museum and Art Gallery and March Gallery, there is a leather shop known as Friendly Leather Bag Shop. They have a few other outlets in Hoi An Old Town, this was the shop that we visited and I got my leather bag from there! 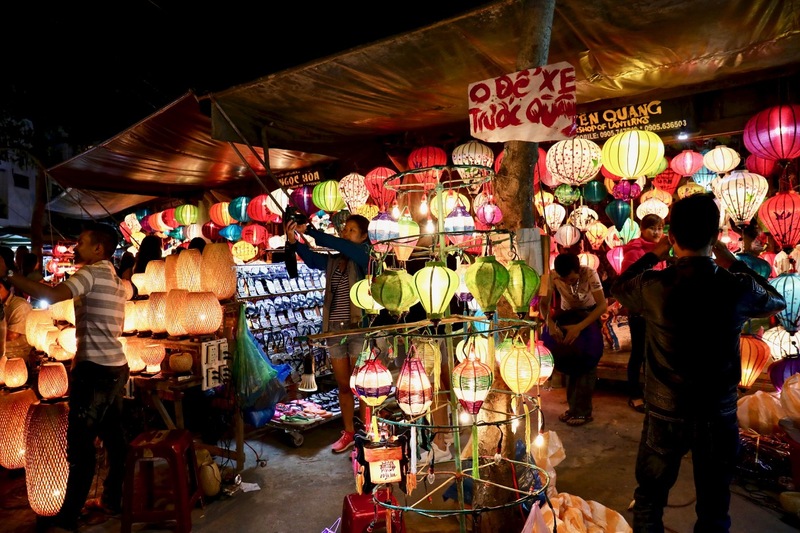 In the night, Hoi An is very bright, colourful and beautiful, lighted up by the beautiful handcrafted lanterns. If you have the space to hang lanterns in your home, I strongly encourage you to check out Hoi An handcrafted lanterns, that you can buy and bring back home! A bridge that connects from Hoi An Old Town to one of the islands along the river, this is a bustling hot spot for tourists to take photos of the river, old houses along the river on the side of Hoi An Old Town, boats ferrying tourists along the river on a slow cruise, placing water paper lanterns lighted with candles, on the river and letting it flow downstream. Many tourists cross over to the island, it’s like the new town, with its food and drinking options, and the Hoi An Night Market is located there too! The iconic symbol of Hoi An, one of the most famous landmarks and tourist attraction in Hoi An, Vietnam. Many tourists would pose in front or nearby this Japanese Covered Bridge for photographs. I didn’t full explore this heritage bridge, just took photos of this bridge in the day and night! When I visit Hoi An again, I hope to explore more! This Hai Van Pass was a destination that I discovered while doing my research on where and what to do in Hoi An and Da Nang. We had an amazing mountain pass costal drive, saw some gorgeous landscape sceneries and sea view! Having traveled to some of the best coastal drives in the world such as Great Ocean Road in Victoria, Australia and Hawaii. The drive up to Hai Van Pass stood out as one of the best coastal drives for me. We hired a driver who took us from Hoi An to Hai Van Pass before returning back to Da Nang. Along the coastal drive up, there are spots that make great photography opportunities! At the top of the Hai Van Pass, that’s where you would see buses, vans, cars and motorcycles parked together, visiting the old fort and bunkers. The bird’s eye view up there are breathtaking, photographers would love it. 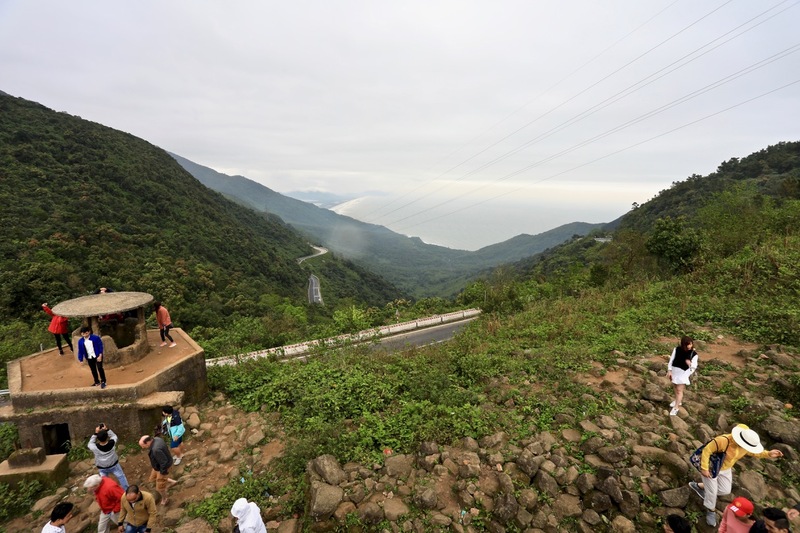 Once you are up there, you would be able to understand why I wanted to do the drive up to Hai Van Pass. Yes, I would go back again when I visit Hoi An and Da Nang again. Do visit my flickr photo albumsto view more photos of Hoi An and Da Nang, as well as delicious Vietnamese food! Hoi An is a beautiful destination in Vietnam, the Old Town still retains its heritage, history, culture and architecture, now a UNESCO World Heritage Site. It has a good mix of old and new, tourism, hospitality, craft and arts. I would love to go back there again, there are still a lot more to explore! I would also want to enjoy my cupppa of coffee, enjoy a laid back and relaxing lifestyle, get more leather craft and enjoy a slower pace of life with my camera for street and travel photography.